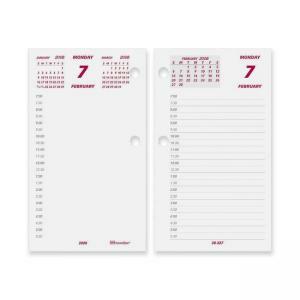 Daily calendar pad refill is designed for use with Rediform C2S Calendar Stand. Ranges 12 months from January to December. 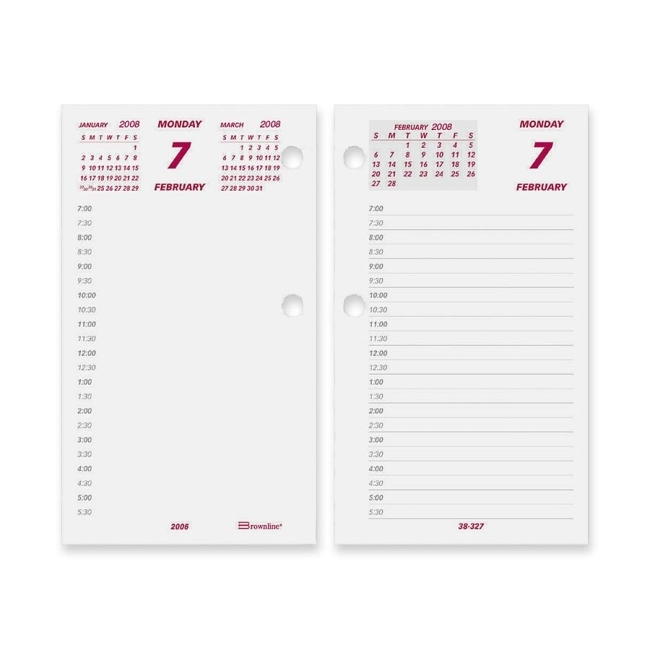 Two-page-per-day includes a lined hourly appointment schedule from 7 AM to 5 PM on one page, and an unlined hourly appointment schedule from 7 AM to 5 PM on the second page, and past, current and future months reference across both pages. Made with virgin paper. English.